The achievement of the Objectives of the Community as set out in Article 6 of the Revised Treaty, requires the collective participation of all Community Institutions and Associate Institutions, in addition to the CARICOM Secretariat. The Community Institutions/Associate Institutions provide direct technical support to Member States in a range of areas. They are also critical implementing partners of the Community Strategic Plan. With a view to promoting coordination and complementarity in the services which the Institutions and the Secretariat deliver to the Member States, the Secretary-General holds annual meetings involving the Heads of Community Institutions and Associate Institutions. While an integral part of the CARICOM system, the Community Institutions exist as separate legal entities with differing governance arrangements. Heads of Government have called for a review and rationalisation of the Community Institutions to ensure that they remain fit for purpose and to create an enabling environment for coordinated management across the Regional Integration Architecture. Some of these Institutions have ceased to exist (for example the Caribbean Regional Centre for the Education and Training of Animal Health and Veterinary Public Health Assistants), and new ones have been established, (for example, the CARICOM Development Fund (CDF) provided for in Article 158; the CARICOM Competition Commission (CCC) in Article 171; the Caribbean Regional Fisheries Mechanism (CRFM) in Article 60.2.b and the CARICOM Regional Organisation for Standards and Quality (CROSQ), in Article 67.5). 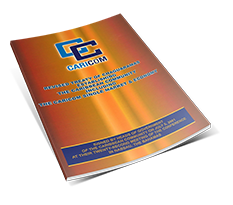 While an integral part of the CARICOM system, the Community Institutions exist as separate legal entities with differing governance arrangements. Heads of Government have called for a review and rationalisation of the Community Institutions to ensure that they remain fit for purpose and to create an enabling environment for coordinated management across the Regional Integration Architecture. This is also a part of the Governance Priority of the Community Strategic Plan and will be undertaken as part of the work of the Change Management Office established by the Secretary-General. Even while awaiting the conduct of the formal review and as a result of the regular discussions between the Secretary-General and the Heads of the Community Institutions, initiatives at greater coordination have been undertaken for example, in the area of programme delivery, resource mobilisation and provision of common services. In this latter regard, the Secretariat and several Institutions participate in a common Heath Insurance Scheme and the establishment of an Administrative Tribunal for the staff of the Secretariat and of the Institutions is being examined. Additionally, common branding guidelines have been agreed to with the Community Institutions to clearly identify them as part of CARICOM (the common tag line under each Institution logo would read: … an Institution of the Caribbean Community (CARICOM)).